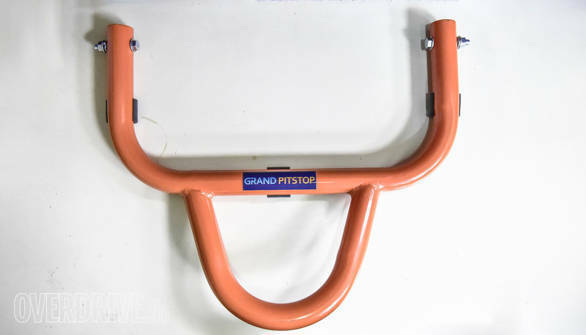 The Grand Pitstop paddock stand may seem like any other paddock stand, but there are a few unique elements that make this paddock stand a must have, according to Grand Pitstop. But who is Grand Pitstop? 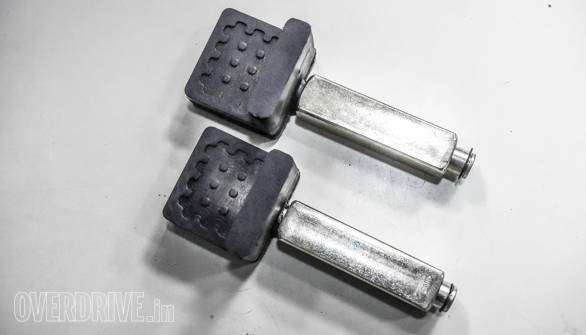 Grand Pitstop is a motorcycle and car accessories designer with products ranging from paddock stands to puncture repair kits to bike maintenance products. 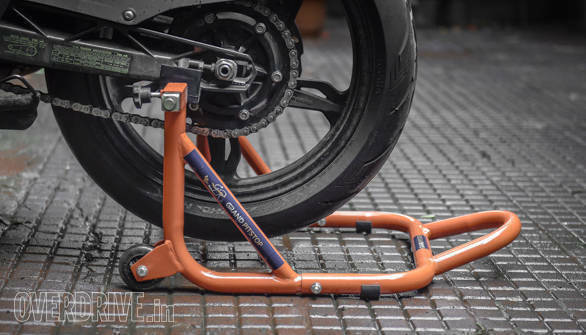 The stand can handle the weight of everything from a KTM 390 Duke to a Suzuki Hayabusa. The box contains the paddock stand in a dismantled state, nuts and bolts to connect put the stand together, claw shaped holders for bike's with swingarm spools and instructions. The stand is pretty easy and straightforward to put together. 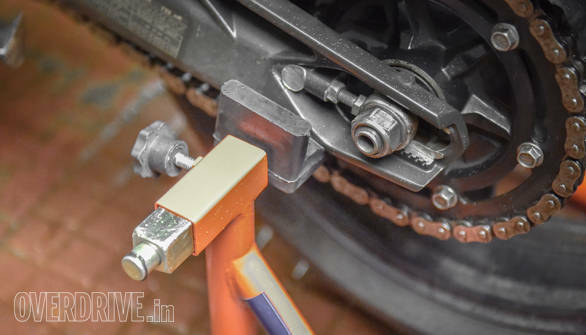 The rubber mounts are broad enough to accomodate the swingarm on our Apache RR310 longterm test bike. We shall use the stand to park bikes as well carry out general maintenance. 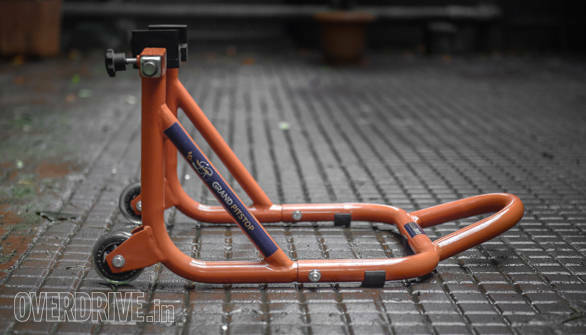 Stay tuned to know how the Grand Pitstop paddock stand worked with the array of bikes we test.